Another finance company has become the Department of Justice’s latest target, accused of violating the Servicemembers Civil Relief Act. DOJ sues auto lender should prompt attention – do your military verification before you take action. The SCRA, a federal law, protects servicemembers from certain legal actions while they are deployed. Portions of the law can be somewhat nebulous. Therefore, it is important to stay abreast of consent actions. These set precedent for expected behavior as well as outcomes of lawsuits. 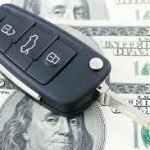 The DOJ filed suit against California Auto Finance, a West Coast lender that provides vehicle financing and title loans, seeking unspecified “appropriate monetary damages” and civil penalties. Other lenders targeted by the DOJ over the last few years have settled with the government for hundreds of thousands and even millions for violating the SCRA by illegally repossessing deployed servicemembers’ vehicles without a court order. It is true that these types of suits were less commonplace many years ago. But lenders would do well to keep up with the consent orders that have originated from these suits. Keep up with compliance – ignorance of the law is no excuse. The SCRA itself is already an old, established law. Although Congress continues to amend it, mainly to extend temporarily how long a person enjoys protection after leaving active duty, it is still somewhat nebulous in many areas that involve banking and lending. Lenders must rely on consent orders to guide them in the policies and procedures they create and enforce. In the case of California Auto Finance, the aggrieved servicemember produced copies of her military orders, to find that only weeks later the company had repossessed her car. This is notable because the servicemember took action on her own and alerted the DOJ. The federal agency then launched an investigation into the lender’s practices based on that sole complaint. The fact that the DOJ calls the alleged violation “an issue of significant public importance” suggests that no case is too small for the government to get involved in. The DOJ found that California Auto Finance had no policies or procedures in place to check on the military status of their clients at the time of the violation, and still did not at the time of the investigation. The DOJ therefore concluded that it was possible the lender had repeated this same violation many times. If this is indeed the case, it is evidence that they “engaged in a pattern or practice” of violating the SCRA, even if it was unknowingly. Although the SCRA does not specifically spell out that lenders must check the Defense Manpower Data Center, doing so shows due diligence. This does not in itself absolve a lender of responsibility — indeed, DMDC files are rife with backlogs and errors — but it shows the lender at least made an effort. This may buy the lender a lower fine or penalty. The only way to be 100 percent sure of a borrower’s military status is to use a third-party database like the Servicemembers Civil Relief Act Centralized Verification Service. We guarantee our results, and we provide them in 24 hours. We also offer batch rates to institutions that must perform many searches per month. Further, for a small fee ($20), we provide an affidavit to take to court to prove the borrower’s military status. This is a small price to pay compared to the millions some less-diligent lenders have had to pay. BMW and Wells Fargo and other giant corporations that have had to pay these fines likely find them annoying. But for a small, family-owned business, it could spell the end. Dot your i’s and cross your t’s — use SCRACVS to verify your clients’ military status. Your best proof would be to have an affidavit in hand.